Rare tripod round table. 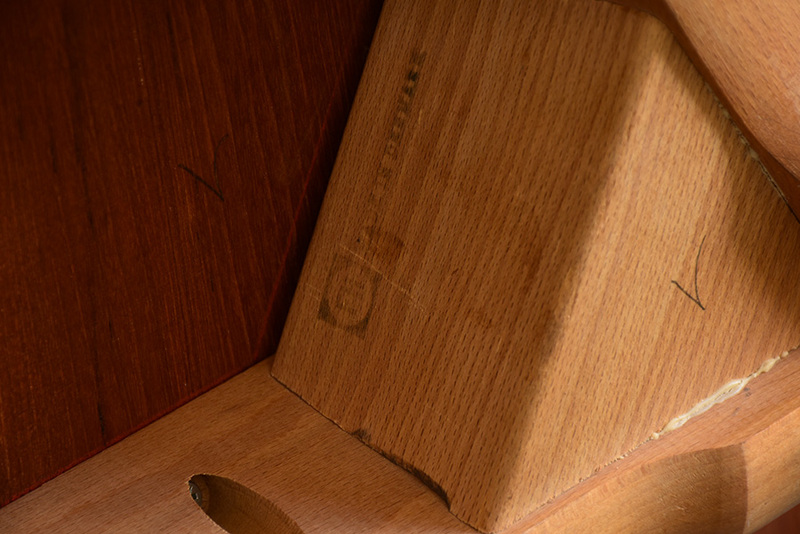 The top is made of teak and the legs of oak. Manufacturer’s stamp. In very good condition with light patina and wear. Hans J. Wegner is one of the most influent Danish designers from the 20th century. He is mostly known as a chair designer, since he designed no less than 500 seat models, among them some design icons like the valet chair, Whisbone, Papa bear or Peacock. He worked for major Danish manufacturers like Johannes Hansen, Fritz Hansen, Getama, etc. 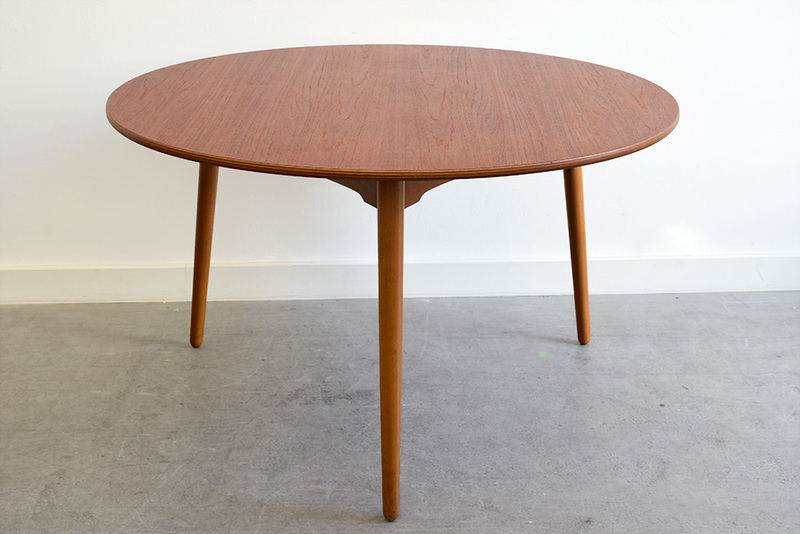 Finn Juhl is the father of Danish Modern and Hans J. Wegner contributed to its expansion. In the 50’s Danish design was present in modern interiors all around the world, it was one of the most fashionable style of the time and is still a major trend nowadays. 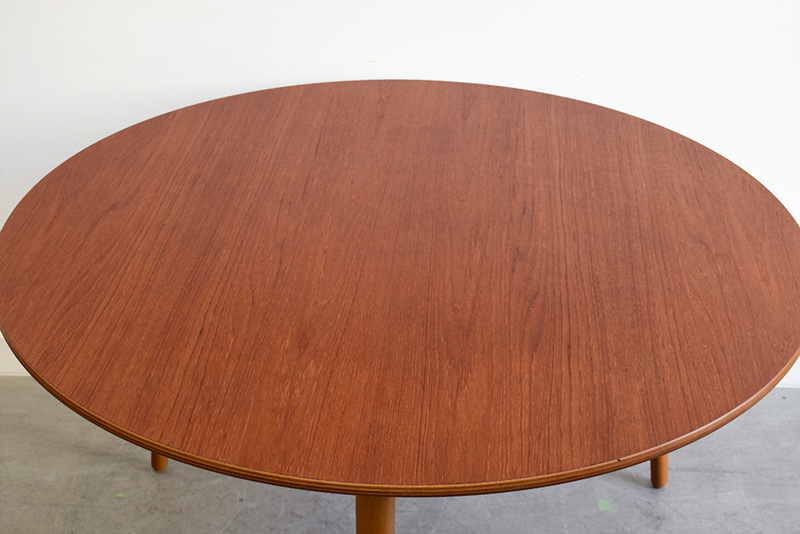 Rare tripod round table. 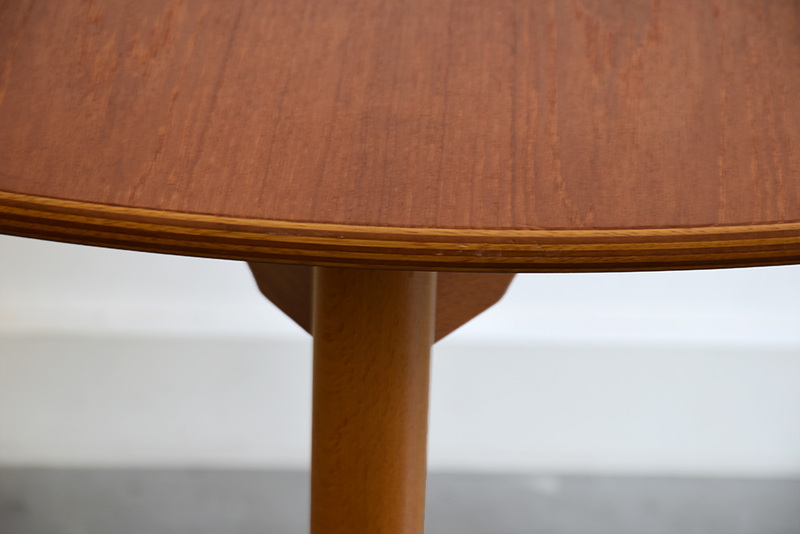 The top is made of teak and the legs are made of oak. Manufacturer’s stamp. 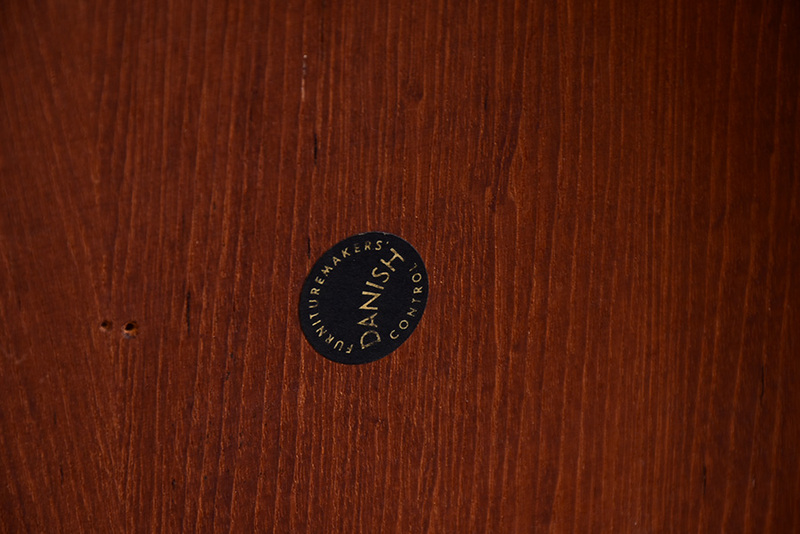 This collector’s item of Danish Modern is no longer in production.